That was ugly. The Warriors looked as frustrated as they have been in a long time Sunday night as they lost 100-98 to the Denver Nuggets. For a team that has changed the way basketball is played through consistently great shooting, the Warriors were absolutely woeful shooters tonight – aside from Steph Curry – from behind the arc. As a whole, it was a frustrating night highlighted by turnovers, missed shots and frustration with officiating. A fantastic first half on defense quickly deteriorated and the Warriors fell behind too far to comeback without the three-ball falling. It was apparent in the preseason that the NBA would be making a concerted effort to call some plays closer than they had in previous years. Head coach Steve Kerr, after being ejected from a preseason game against the Phoenix Suns, acknowledged the problem and said he thought the perceived increase in calls would cease or decrease once the season got underway. So far, there hasn’t been the decrease the the Warriors may have hoped for. Tonight, both Steph Curry and Kevin Durant were visibly upset with the officiating. After failing to get a call on what would’ve been an and-one in the third quarter, Curry committed a frustration foul. Durant came right back and scored on a short jumper and a baseline drive that he finished off with a smooth dunk. After Draymond Green failed to receive a shooting foul – instead coming up with nothing on a shot-clock violation – Andre Iguodala essentially pulled himself from the game when he was called for a foul on a three-point shot by Nikola Jokic, which he thought he got clean. Kerr was seen upset on the sideline after Klay Thompson was called for a foul fighting through a screen with the Warriors down by seven points. Then, Curry drained an absurd three and was hoping for his 25th career four-point play, but received no call. The Warriors were called for 29 personal fouls to the Nuggets’ 22, leading to 42 Nuggets free throws, compared to the Warriors’ 24. When you think of Steph Curry, you think of absurd three-point shooting and seemingly gravity-defying layups. 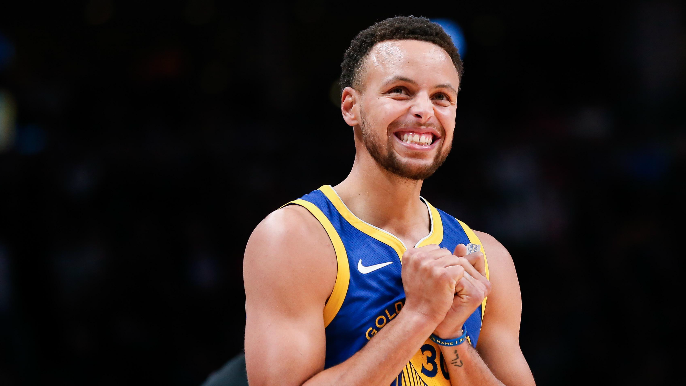 Both were on display tonight as Curry nearly led the Warriors back from as much as a 13-point deficit in the fourth quarter, starting with a triplet of three-straight threes. Through three games, Jordan Bell is the clear last big men off the bench. With Damian Jones in the starting center spot alongside Draymond Green at the four, and Kevon Looney the first off the bench, there has been essentially one other forward spot open for major minutes. So far, that spot is sticking with Jonas Jerebko, who played in the final seconds of tonight’s game and 11 in total. Bell? He played just three minutes. On Friday night, Jerebko tipped in the game-winner against his former team in the Utah Jazz. He has the capability to spread the floor with three-point capability that none of Bell, Jones or Bell have. He adds a surprisingly physical presence down low. Until Bell can show that he’s a plus-plus player on both ends of the floor, Jerebko will likely keep that spot. But as the season goes on and the normal wear-and-tear accrues, you can expect to see some of Bell. Those were the words of Warriors commentator Bob Fitzgerald, and they were spot on. Tonight was one of the most un-Warriors shooting nights in recent memory. Through three games, only Curry, Klay Thompson and Jonas Jerebko have made more than one three-pointer. Warriors are 2-of-17 from 3. More than 10 quarters into their season, Steph Curry still the only guy on their team with more than 2 deep makes. Nuggets on a mini run, up 8. Thompson struggled mightily for a large part of the game before hitting his second three-pointer of the season in the fourth quarter. As mentioned above, Curry was just about the only person on the team who could score from the behind the arc. As a team, the Warriors finished the game shooting a woeful 7-for-29 from three. Aside from Nikola Jokic, Gary Harris was the only Nuggets player to score more than 20 points. Jokic played extremely well, facilitating the ball and racking up a near triple-double with 23 points, 11 rebounds and 6 assists. He was guarded well by Damian Jones, but Jokic picked up a barrage of foul calls on Jones and created a massive mismatch for other Warriors defenders. As for Harris, there was little the Warriors were able to do to slow him down. He finished with 28 points on 11-of-20 shooting from the floor. His backcourt partner Jamal Murray was ultimately silenced, and temporarily exited the game after 15 minutes, but later returned. He finished with just three points and missed a pair of crucial shots inside the final two minutes, but Harris’s outburst made up for Murray’s disappearance in plain sight.